I do school assemblies with a ministry called Youth Alive. 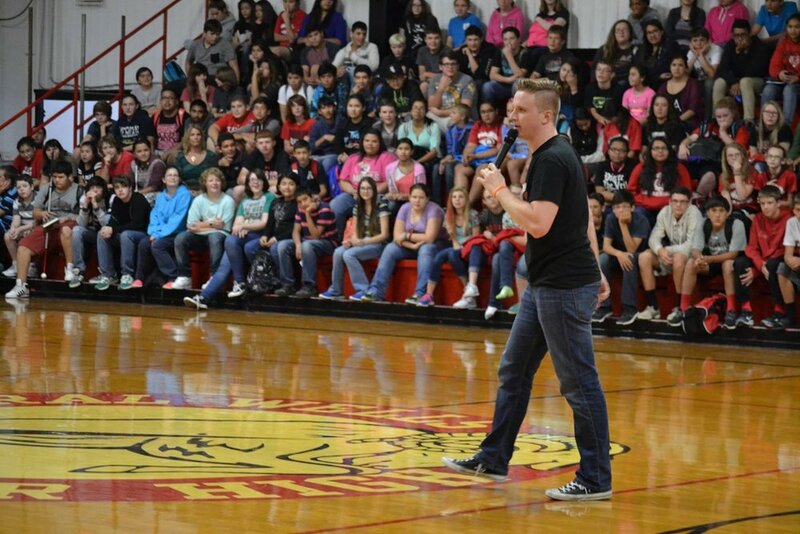 Two weeks ago we were in Oklahoma setting up for an assembly in a jr high when the principal came over and asked about my segment. We have a few different speakers who present throughout the assembly and that day I was going to talk about bullying and suicide. He tells me that the school had an attempted suicide earlier in the week and to be sensitive of that. How comforting to know you’re not the only one. You’re not alone. I get to say it in my stand-up. You have the chance to say it to your family, friends, small group, or even complete strangers in their moments of need. You’re not alone.